Two start-ups have alleged the Income Tax department was harassing them over angel tax, less than 24 hours after Prime Minister Narendra Modi told Parliament how his government's business policies were creating millions of jobs. 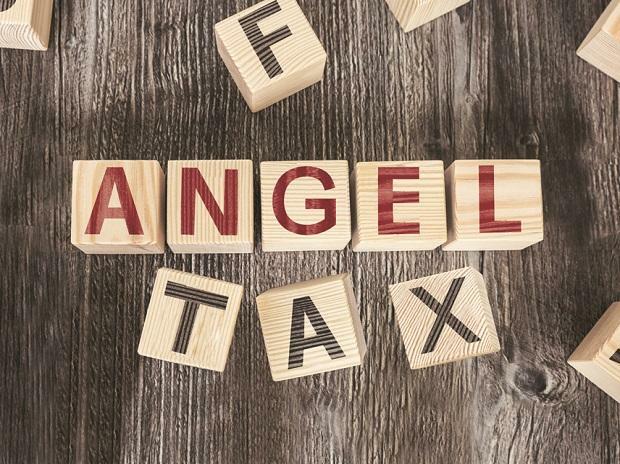 The Income-Tax Department withdrew lakhs from the bank accounts of Travel Khanna and Babygogo, for angel tax, an anti-abuse measure called so for its impact on investments made by angel investors in start-ups. The Income-Tax Department froze four bank accounts of Travel Khanna (Duranto Technologies Pvt Ltd) and withdrew about Rs 33 lakh on the pretext of tax liability on investments raised by the company from angel investors in 2015-16. The accounts were unfrozen, but the money has not been returned. This is despite government assuring start-ups that no coercive action would be taken on the angel tax. The government invited investors and start-ups earlier this week to take their feedback and resolve the issue of angel tax. Travel Khanna employs 60 people and indirectly impacts 2000 other jobs. “We had raised investment from several angel investors in the FY 2015-16. Since past several months, Income Tax department has been asking certain set of questions over raised amount including the validity of the investors under Section 68. We were duly answering their questions and complying with the legal process including sharing that we were a startup being pioneers of our field and having some very reputed and respected investors,” Pushpinder Singh, founder and CEO of TravelKhana, told Entrackr, a media platform for startups. Despite the process going on, the Income Tax assessment officer allegedly passed an assessment order asking TravelKhana to pay taxes on the angel money received. “We had appealed against the order and put in multiple requests for abeyance with the assessment officer on 15 January 2019 and again on 4 February 2019. Without accepting or denying our abeyance request and totally against the principles of natural justice and government assurances on no coercive actions, the IT department froze our bank accounts and withdrew all money in all the accounts in various banks striking a death blow to the company and the several employees and small businesses associated with it,” Singh told Entrackr. The Income Tax department had asked TravelKhana to pay Rs 2.33 crore as angel tax. “Following the assessment order, we appealed to IT department for relief. In parallel we also requested assessment officer to keep the order in abeyance on January 15,” said Singh. Around 20 days later, Singh appealed against the assessment order on February 4 through a lawyer outlining that matter is very critical and is a question of survival for the firm. “The very next day IT department froze one State Bank of India and three ICICI bank accounts containing Rs 33 lakhs,” added Singh. Following the freezing and deduction of amount from bank accounts, Singh and his team approached senior Income Tax officials. However, they denied any immediate relief and asked them to appeal. “Appeal in normal times takes at least a year to resolve.” said Singh. The only relief Singh and his company received from CBDT is that bank accounts are operational and an early hearing of their appeal. However, the earliest to expect will be not less than 3 to 6 months but nothing left for transactions, pay salaries or continue running the business. ‘‘If it is true, it is shocking beyond words. That the IT Dept actually froze a startup's bank a/c & withdrew money for the #AngelTax demand,’’ tweeted Amit Ranjan, founder Slideshare and architect of DigiLocker. ‘Yes – it’s true. This was my own reaction on Tuesday evening when it happened. The bank manager said that 4 IT inspectors came and forced the bank manager to make DDs from all accounts. The bank manager said that this is commonplace these days,’’ Pushpinder Singh of Travel Khanna said on Twitter. ‘‘This is clearly #AngelTax terrorism by IT Dept. One gets the feeling, the tax enforcement team is oblivious of what DIPP + StartupIndia are doing to resolve AngelTax issues amongst startups. The silo-ed nature of govt depts is to blame here!,’’ Ranjan said in response to the tweet. ‘‘I am suspending all angel investing till the time the Angel Tax is abolished,’’ tweeted angel investor Rajesh Sawhney, who is also the founder of InnerChef. ‘‘@amitabhk87 - Sir this is tax terrorism if ever there was one. Startups have to struggle against so many challenges. This will sound the death knell of Angel Investing,’’ said Kunal Khattar, founder at VC firm AdvantEdge. ‘‘There is a special place in h*ll for this kind of regressive behavior by Indian tax officials against a startup for INR 33 Lakhs - disappointed. It’s unlikely I will ever invest again in Indian legal entities of startups via Operators Studio #shocked #angeltax #isthisnewindia,’’ said angel investor Soumitra Sharma.